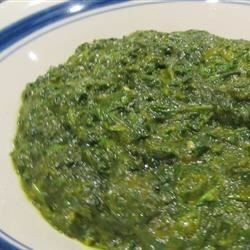 Spinach Saag - HCG Diet Phase 2 Recipe | Hcg Diet Info... Recipes! 1Place everything into a pressure cooker for 15 minutes. 3Combine with 100g of chicken breast and enjoy. 4Thank you for this great Hcg Diet Phase 2 recipe, Cayako! EXCELLENT!! I already had the Garam Marsala on hand – we cook Indian food from time to time, but I’ve never tried to make saag. I spent some time on it with the emersion blender and it came out creamy and delicious – better than any restaurant that we’ve had it at. This will become a P2 staple and we will add paneer to it for P3 and beyond. Thank you SO much for this recipe! Sooooooo goooooood! My compliments to the Hcg Diet Chef on this one!